index - subjects - "Shermans into ploughshares"
Note: this page is under continuing review. Please contact me if you can add to and/or correct the information on this page. The Swords And Ploughshares Museum at Manotick, Ontario, Canada has two converted Ram tanks. One was converted into a bulldozer, the other one into a snowplough. The latter is shown here: Ram snowplow. In Nanaimo, British Columbia a company known as Madill Equipment converted spar tree and log movers based on Sherman tank chassis. Only the lower hull, fitted with either VVSS and HVSS were used. Morgan Power Apparatus of Vancouver, BC, Canada (part of Morpac Industries Inc.) manufactures "Off Road Crawlers and Carriers for the Logging & Mining Industries" using Sherman tank parts. "They were converted to help produce open-cast coal in Britain, or in the diamond industry in South Africa. 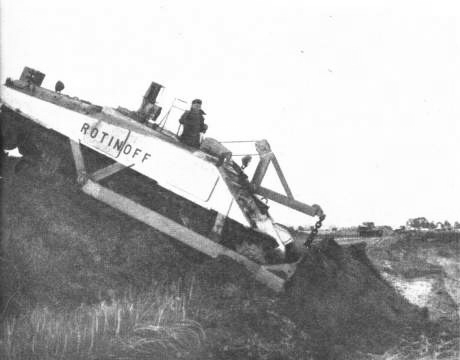 There they were moving five to six feet of sand which covers diamond-bearing soil or, as bases for mobile conveyor belts, helping to carry the diamond bearing earth up to a quarter of a mile for processing. In West Africa they are towing huge logs for timber firms. They are functioning as tractors, bull-dozers, angle-dozers, scrapers and cranes." "Rusting Tanks in the Desert - abandoned military tanks, once used during World War II and later for sand bulldozing at diamond mines, rust in the desert sand." In 1947 Sherman III T152649 was sold to Mr. Robert Crawford of Frithville, Lincs., who used it for ploughing until 1957. It was first used with only its turret removed, later the upper hull was cut off. The bulkhead and part of the rear hull were left in place. The rear hull supports the ploughing attachments and exhaust stacks for the GM 6046 twin diesel engine. 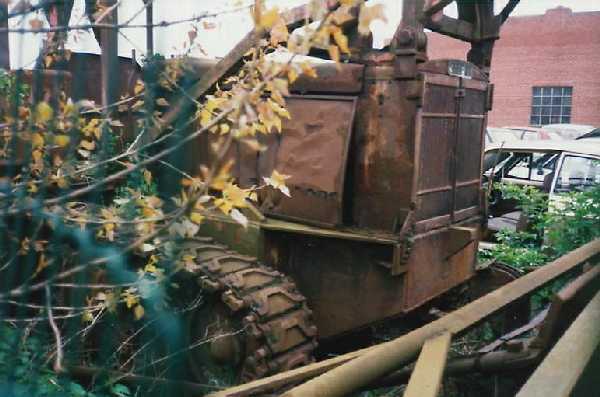 The Sherman tractor was left outside until 1984, when it was restored for demonstration at the world ploughing contest in Lincolnshire. Jon pictured it in 2000 at a Vintage Machinery Working Day event held in Lincolnshire. It hauled a deep furrow Fowler plough implement up and down the field. Among the companies that did conversions were Rotinoff Construction Ltd of Poyle, Buckinghamshire. This company marketed a simple bulldozer conversion on the basis of a turretless M4A2 Sherman tank. 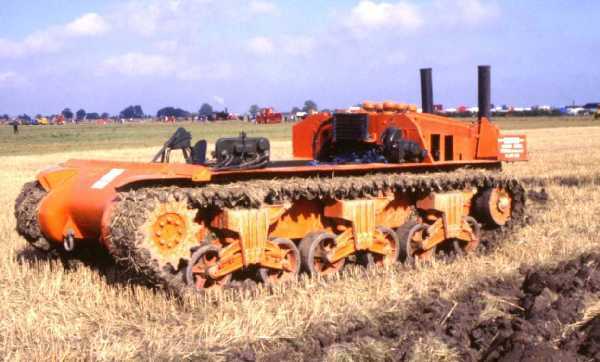 Vickers built the Shervick tractor from Sherman components. It used the gearbox/differential/final drives, bogies, tracks and a single GM diesel engine (as used in a twin set-up in the M4A2). They were intended for logging in West Africa, but in May 1995 André Flener discovered a survivor at a scrap yard in Oostende, Belgium, of all places. In november 2000 it was still there. The top of the radiator bears a cast-iron "Shervick" sign. The Soviet Union was no exception in using tanks as tractors in peacetime. The Russian Battlefield has a page on Lend-Lease Shermans: M4 General Sherman. Scroll down to the bottom of this page and read more about Shermans that - until quite recently! - were in use as tractors for reconstructing railway lines. One of them is preserved the the Central Museum for the Armed Forces at Moscow. SouthEastern Equipment Company in Augusta, Georgia USA, is one of several companies that specializes in converting redundant AFVs into tracked vehicles for the logging industry. For this purpose, SECO bought some 47 surplus Sexton 25 pdr SPGs from the Portuguese government as late as the early 1980s. It is unknown if any of these were converted. 'What am I bid for fifty Shermans?'. SOLDIER, 1953, p.27. 'Post War Vickers Tractors - From Shervick to Vigor', Wheels & Tracks, issue no. 15.